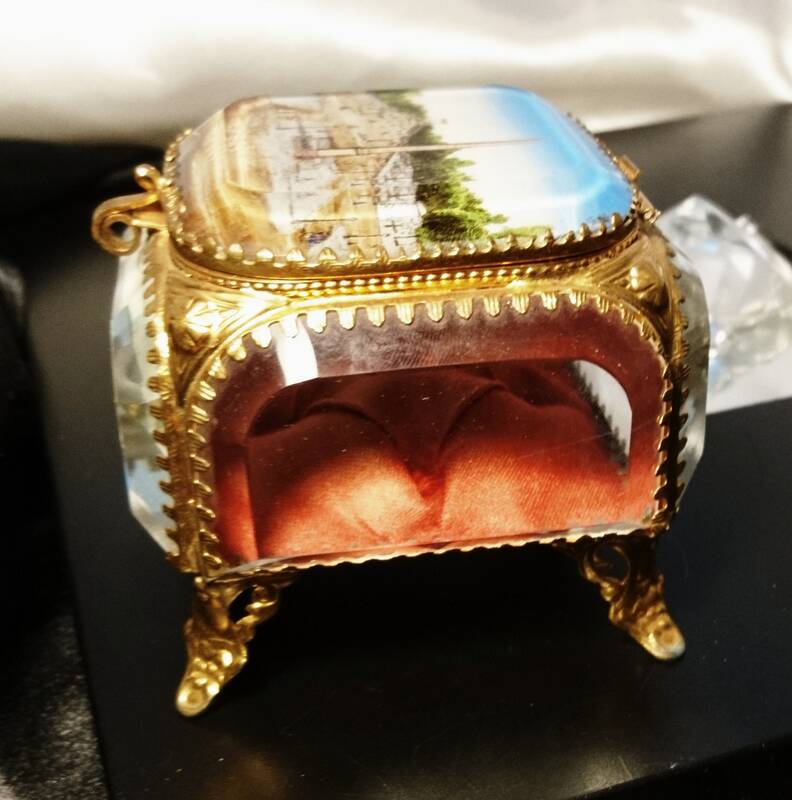 A beautiful French antique 19th jewellery casket, satin cushioned with a scene reverse painted on the outer lid of Paris and on the inner side of the lid there is a mirror . 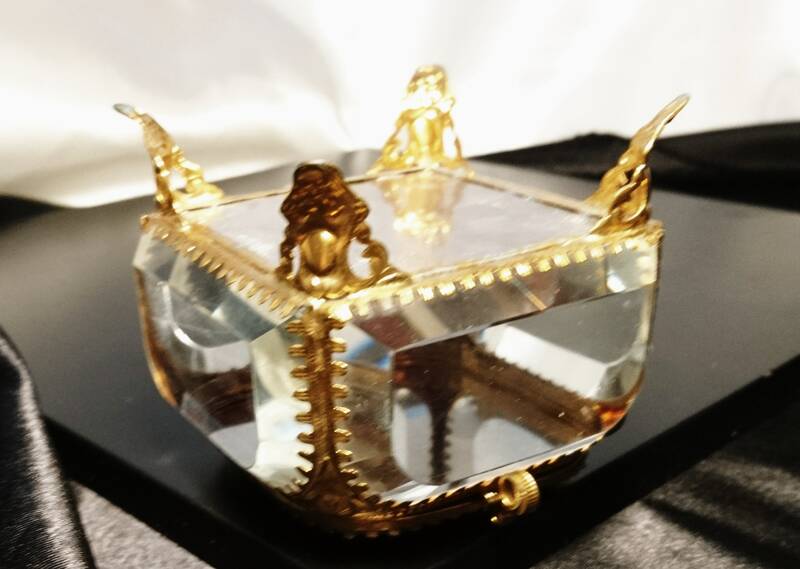 Beautiful craftsmanship the golden ormolu box has scrolling foliate in relief all on the feet. 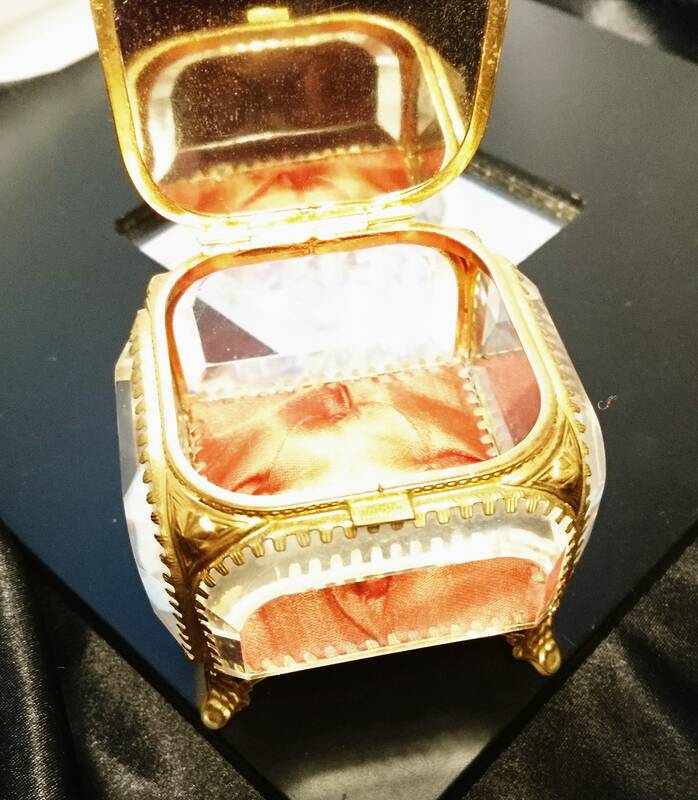 It has ormolu reeding around the gorgeous bevelled glass lid and is lined in a quilted red coral satin. 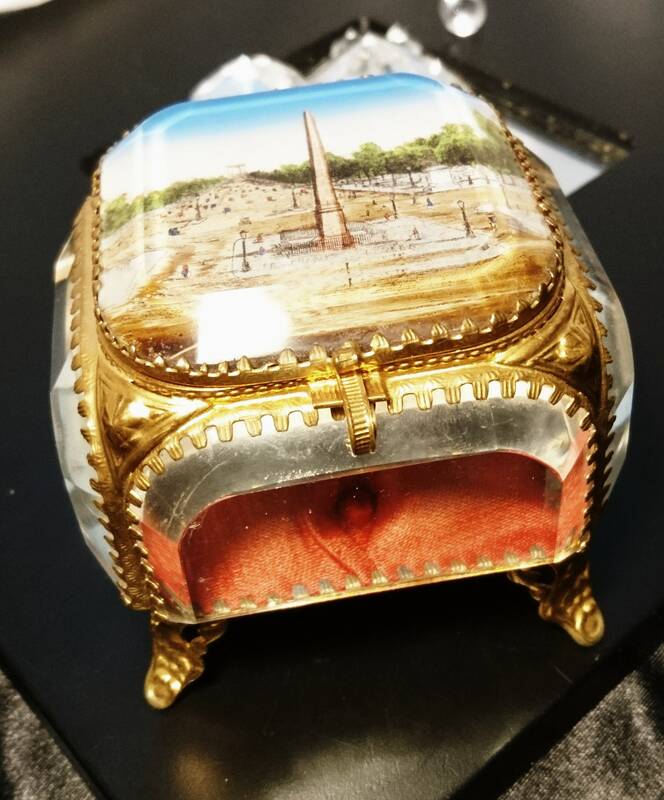 There is a scroll type push catch on the lid to secure it closed. 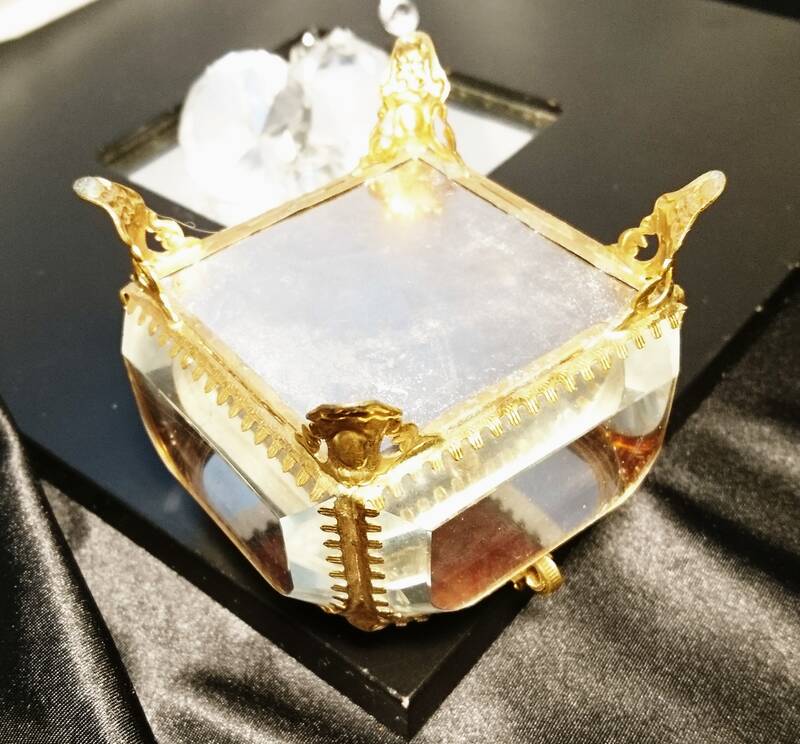 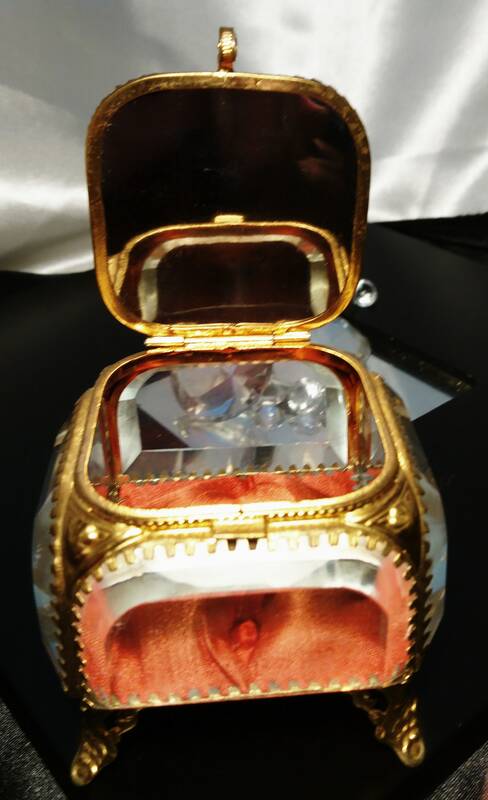 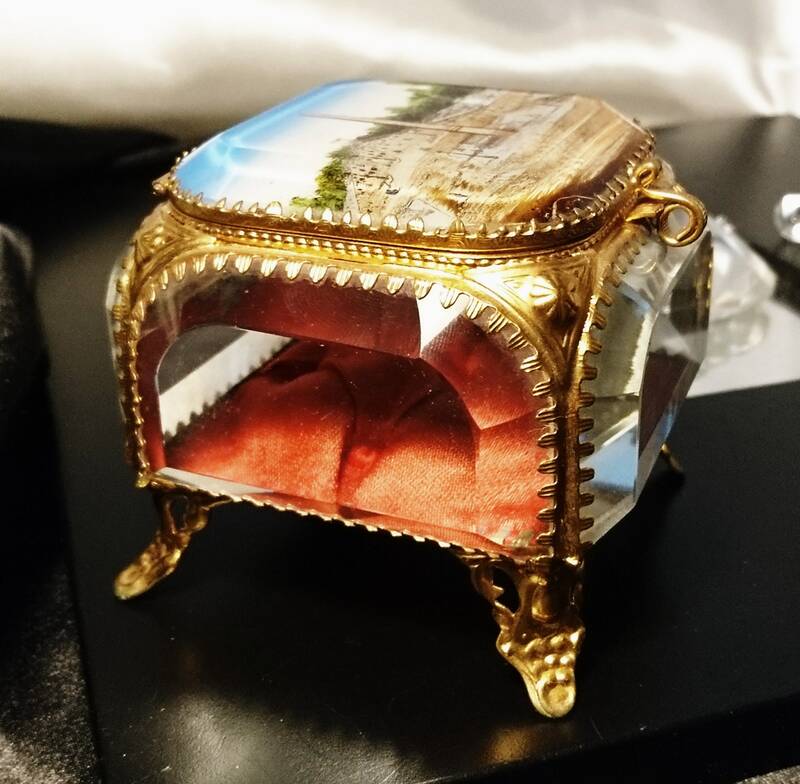 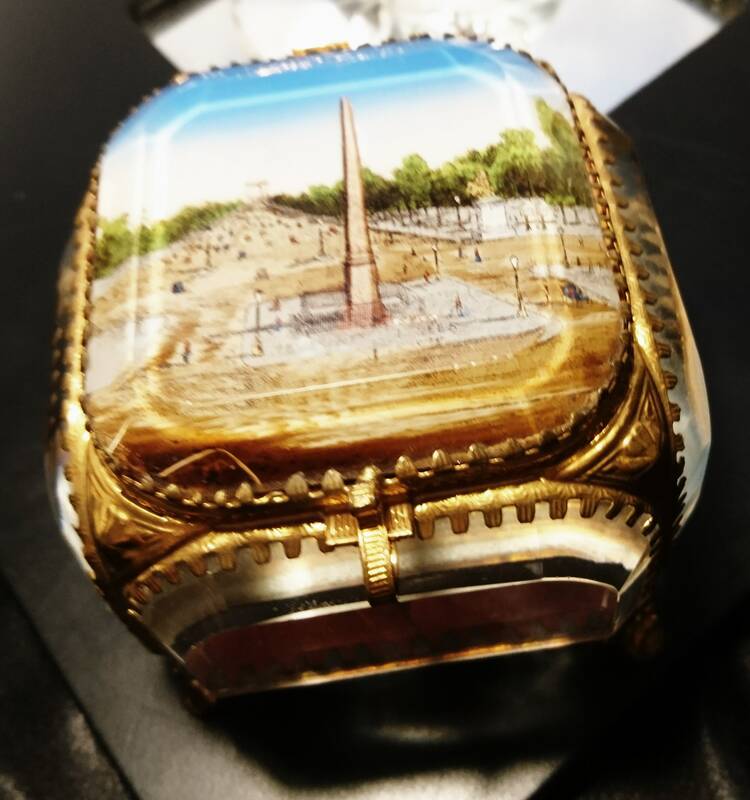 This jewellery casket is in fine condition for the age, the glass is free from chips or cracks, the satin is free from rips or tears, there is a scratch on one side of the glass on the inside but this is not very noticeable. 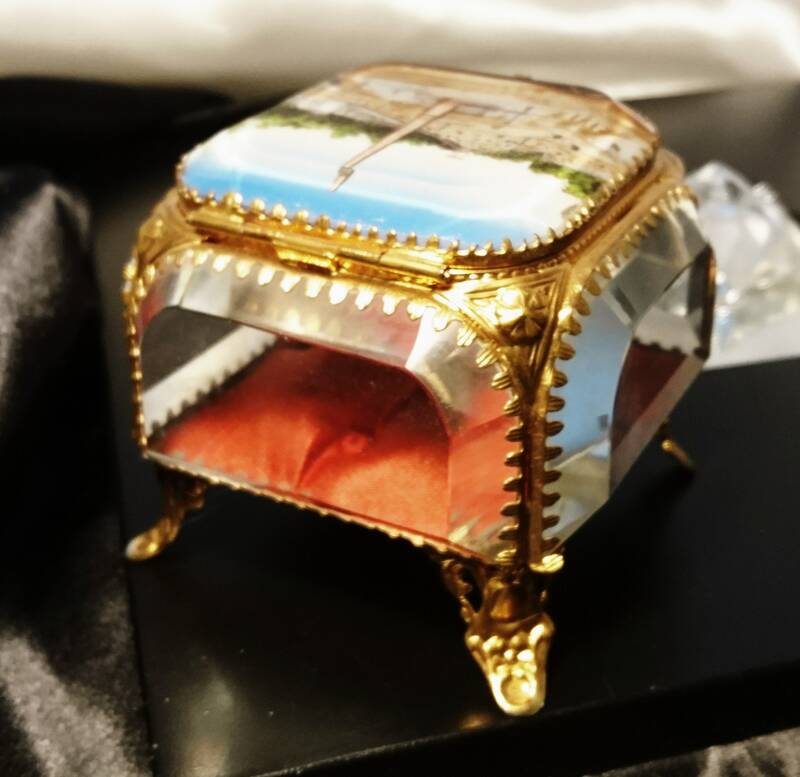 These pretty jewel caskets were a popular tourist choice in the 19th century purchased in France and bought back to England as gifts and souvenirs.